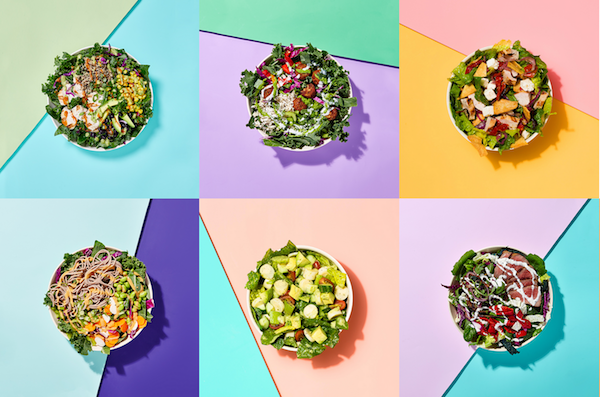 Cameron Village's CHOPT, a creative fast-casual salad company, is helping Raleigh residents maintain their new year's resolutions and stay on track by offering local, nutritious ingredients at affordable prices with plenty of taste and variety. “Raleigh is renowned for its forward-thinking, health-oriented residents who have a passion for eating locally and sustainably, and we’re really looking forward to becoming part of the community,” said Colin McCabe, Co-Founder of the Midwest-based Chopt, told the Triangle Business Journal. 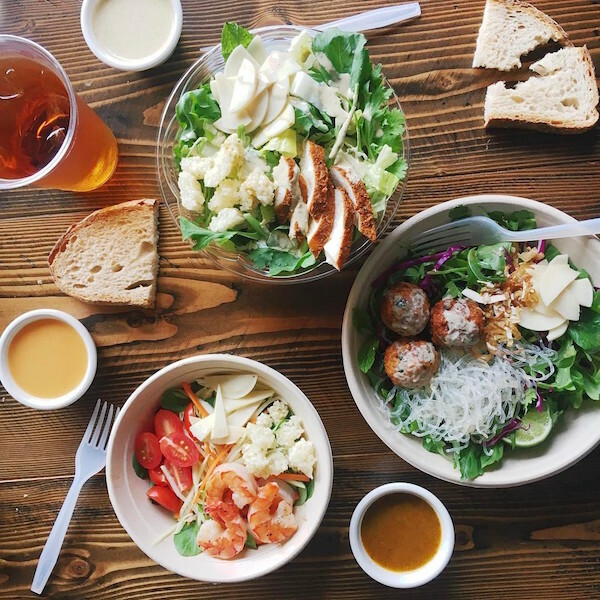 Chopt entered the Triangle area market at Regency’s Cameron Village in late 2016 and has become a popular dining destination. The 50-seat, 2,905 SF space features contemporary design elements balanced with a simple color scheme intended to enhance its salad offerings' natural beauty. Each location presents unique, custom-created wallpaper by Spanish artist duo Batabasta. “Chopt has a fresh, energetic buildout, that complements its salads, fresh bread and lemon-cucumber infused spa water, ” said Annie Dlugokecki, Regency’s Raleigh leasing agent. Menu options range from traditional to adventurous salad combinations, with the ability to craft-your-own concoction. An assortment of unique salad dressings and sauces are available. For those seeking more substance, there are grain and noodle bowls plus warm kale and quinoa bowls, and a selection of hearty soups. Giving back to the community is part of Chopt's culture. To celebrate new store openings, it hosts a ‘Chopt Gives Day’. On December 8, to celebrate Raleigh’s soft opening, patrons enjoyed a free salad or salad wrap with any donation to the Juvenile Diabetes Research Foundation Raleigh (JDRF), a leading global organization funding type 1 diabetes (T1D) research. Throughout the day, donations reached $3,600. “The eatery made a splash during its soft opening with lines stretching outside the door, even on a chilly December day,” continued Annie. "I enjoy the convenience of their mobile ordering, for a quick salad on-the-go." Chopt supports local communities by building partnerships with area farmers and small businesses to provide fresh ingredients, which they call farm-to-fast food. The Raleigh location features Goat Lady Dairy cheese, Coddle Creek Farm honey and La Farm bread. Aiming to be as sustainable as the salads it offers, Chopt also uses recycled and compostable packaging. Visit Cameron Village on Facebook for Chopt updates.